Last week’s unanimous decision from the Massachusetts Supreme Judicial Court, ruling in favor of CLF and finding that the state’s Department of Public Utilities cannot legally tax the Commonwealth’s electric consumers to cover the cost of new interstate gas pipeline, is reverberating throughout New England. Since the decision was released, not only have the Massachusetts electric utilities that sought to impose the gas charge on their customers withdrawn their requests from the DPU, but actions in each of the other New England states have called into serious question the future of the region’s biggest pipeline proposal – Spectra’s Access Northeast. Access Northeast is the last vestige of the unholy alliance between Big Gas and the region’s electric utilities. That alliance was designed to reap huge profits by overbuilding New England’s gas pipeline system and supplying us with more natural gas, ­at a time when our region already over-relies on this climate-polluting fossil fuel. Meanwhile, the costs and risks of these ventures would be heaped on electric consumers (you and me). Like its former climate change co-conspirator, Kinder Morgan, Access Northeast now appears to be on the road back to Houston thanks to strong regional resistance and a Massachusetts high court that has signaled to the entire region the legal and economic folly of these massive pipeline proposals. Leading up to the Court’s decision, utilities commissions across New England were each weighing the legal and policy merits of proposals between their own state’s utility companies and Spectra – proposals that were virtually identical to the one CLF challenged in Massachusetts’ highest court. The days since the Court’s decision have seen those same utilities commissions scrambling to assess the implications of the decision on those proposals. For CLF and our allies, the implications are clear: if Spectra’s Access Northeast cannot move forward in Massachusetts – which was key to the project’s economic feasibility ­– then it cannot move forward anywhere in New England. Why? Because, according to Spectra, the Access Northeast project is dependent upon each state’s electric utility (really its customers – again, you and me) paying its share of the project’s costs, allocated in proportion to that state’s share of the regional electricity demand. Prior to the court’s ruling, those costs would have been rationed out to electric consumers in Maine, Connecticut, New Hampshire, Rhode Island, and Massachusetts, the state with the highest electricity demand. 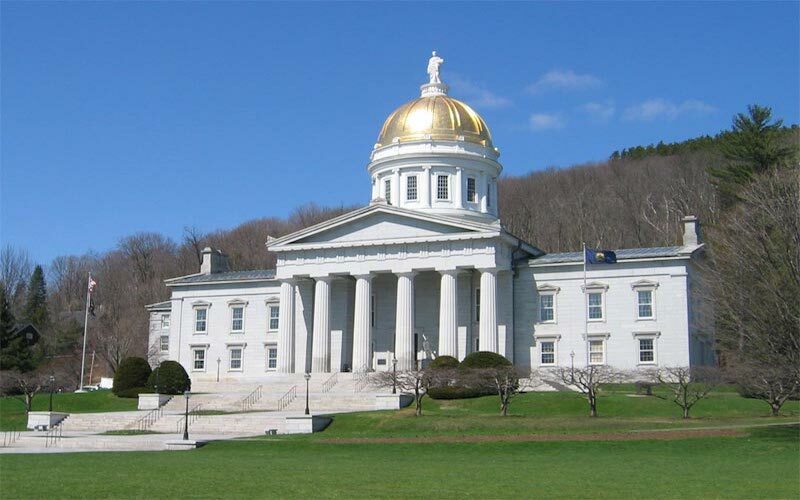 But the Supreme Judicial Court’s decision lets Massachusetts consumers off the hook –meaning that those of us living in the rest of New England (except Vermont, which never bought into this scheme) will now have to cover the Commonwealth’s and Vermont’s share of the costs, which represent 50% of the region’s total. If the project proceeds at the size originally planned (and Spectra has asserted multiple times since the Court’s decision that it will), we would all need to pay at least double what had originally been proposed. In an effort to help bring clarity to this new reality, this week CLF filed motions with the utilities commissions in Rhode Island, Massachusetts, and New Hampshire asking that the gas proposals in each state be dismissed because Spectra’s own “all states pay their fair share” requirement cannot be met. In Maine, CLF requested that the Commission, which is in the process of drafting an order approving a contract with Access Northeast, re-open its hearing to consider the fact that the Massachusetts high court decision will prevent the state from purchasing capacity on the proposed pipeline. While the Supreme Judicial Court’s decision was based on Massachusetts law and so has limited impact legally in other states, every New England state has so-called “restructuring” laws similar to the ones referenced by the Court opinion. Over the last 20-plus years, those laws have required electric utilities to sell off their power plants and their associated price-volatile fuel obligations and to own and manage only the electric transmission system. As such, when the Court says that the Access Northeast proposal re-exposes electric consumers to the risks from which such laws sought to insulate them, it is speaking to every state and every electricity consumer in New England and telling us that this pipeline is a bad deal. Let’s hope that our utility commissioners, with whom the fate of the Access Northeast project now rests, are listening.